Medlock Area Neighborhood Association (MANA): 1982 snow surprisingly similar to 2014 snow, who woulda thunk? 1982 snow surprisingly similar to 2014 snow, who woulda thunk? 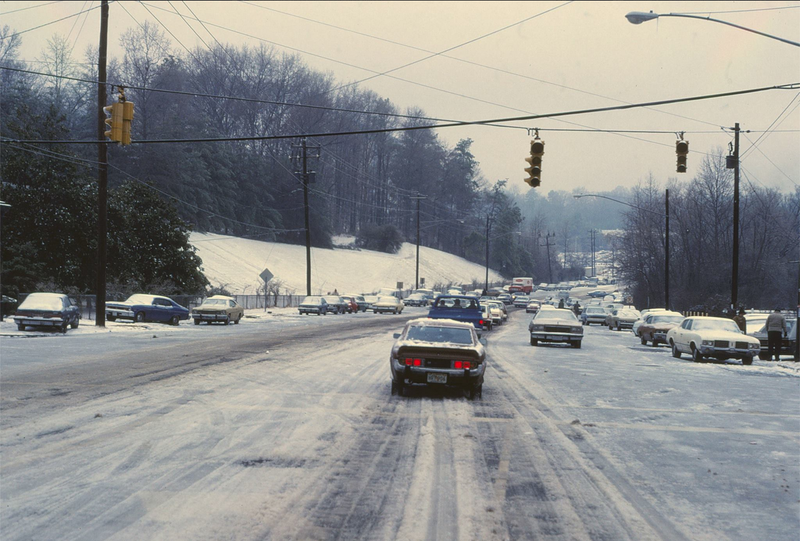 Neighbor Greg posts: "This photo of the big 1982 "Snowjam" storm was taken the day after the deluge hit town and shows the view looking north along Clairmont Road, near the railroad overpass between North Decatur Rd and North Druid Hills Road. Though it's not visible in the picture, the VA Hospital is just up around the bend on the left. Thanks go to Elinor Howard Cook for sending it in this photo, which was taken by her husband." That would be the Emory Clairmont campus to the left. UPDATE: And, footage from the 1973 ice storm.